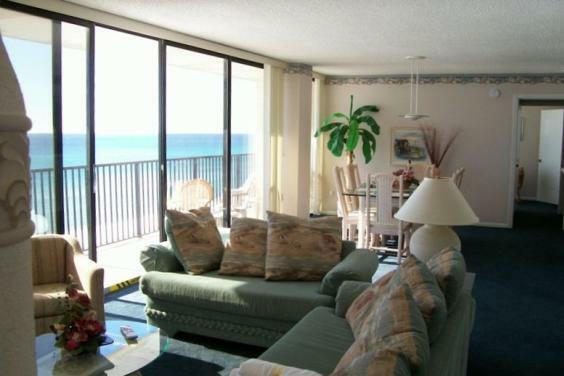 This huge, outstanding 2Br, 2Ba (1400 SQ. 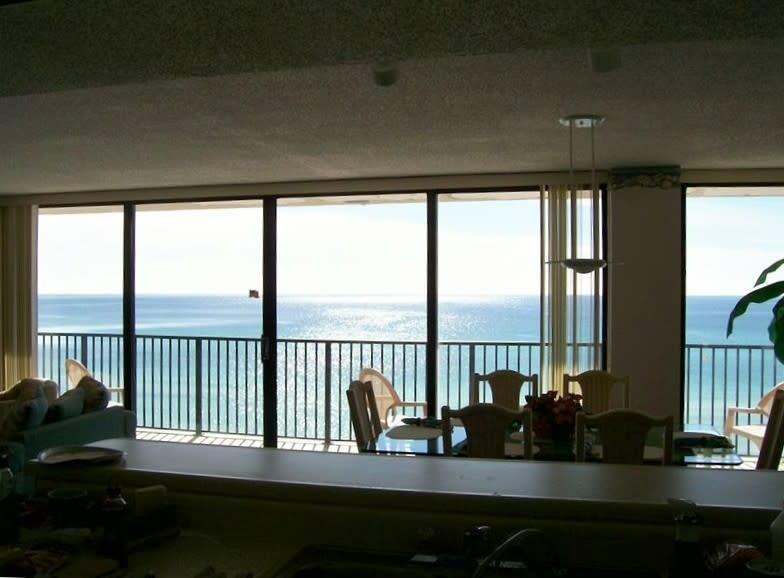 FT) condo with floor to ceiling glass in every room has spectaular views from everywhere. 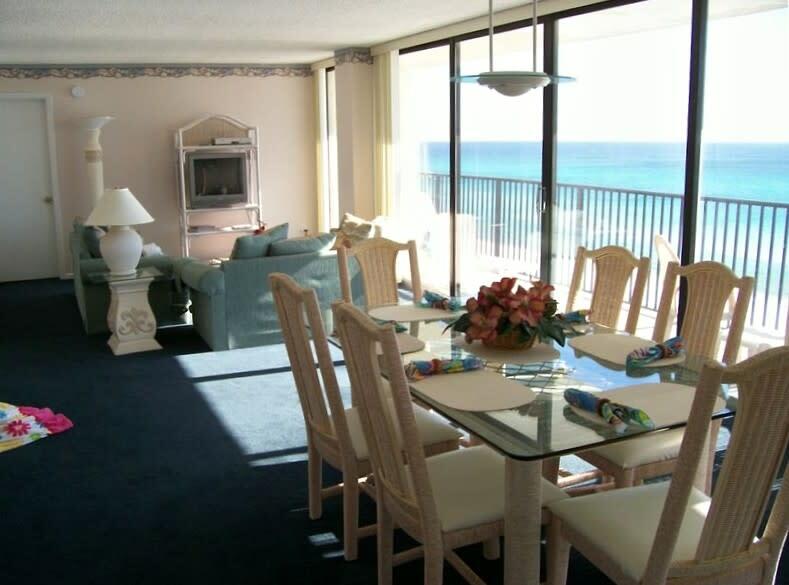 It features an attractive beach decor, large, comfortable beds and a generous supply of towels, linens, dishes, glassware, utensils, and pots and pans. 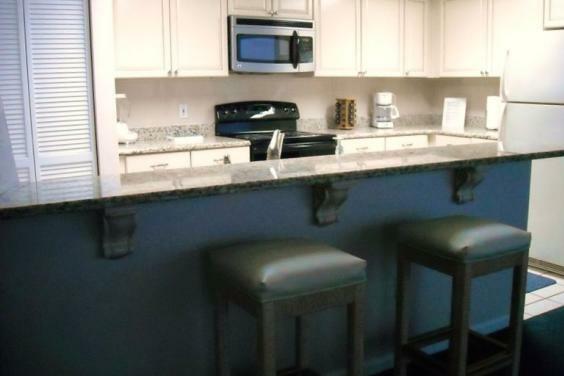 We have HIGH SPEED INTERNET (WiFi) and granite countertops. We have a crib and high chair. 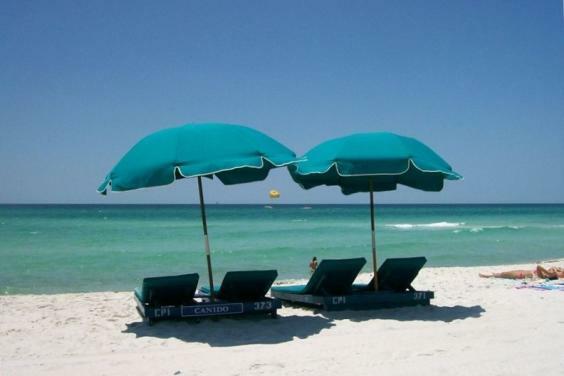 There is a rolling cooler to take to the water and a FREE BEACH SET-UP, (two lounges and an umbrella) right on the sand, it is free with your rental from March through October. Every room has a wall of glass overlooking the clear emerald water and sugar white sand of the world's most beautiful beaches. 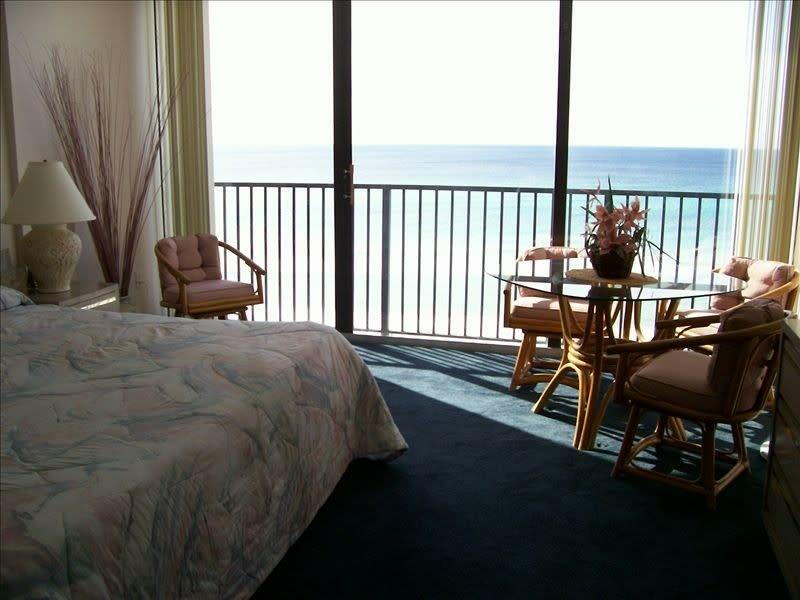 The lighted balcony has two chaise lounges and four chairs and tables where you will love to soak up the sun, listen to the surf, sip a cool drink or maybe relax with a good book. 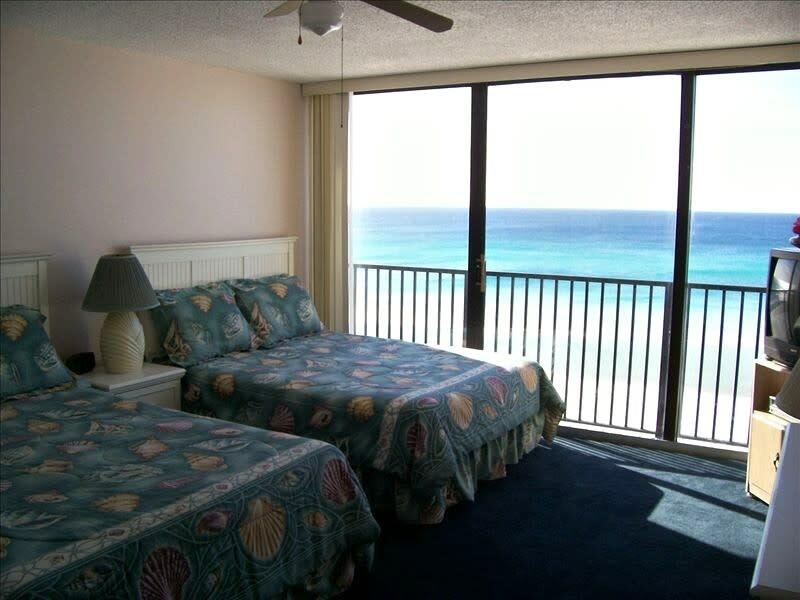 Each room has a large TV with a DVD and premium cable channels. 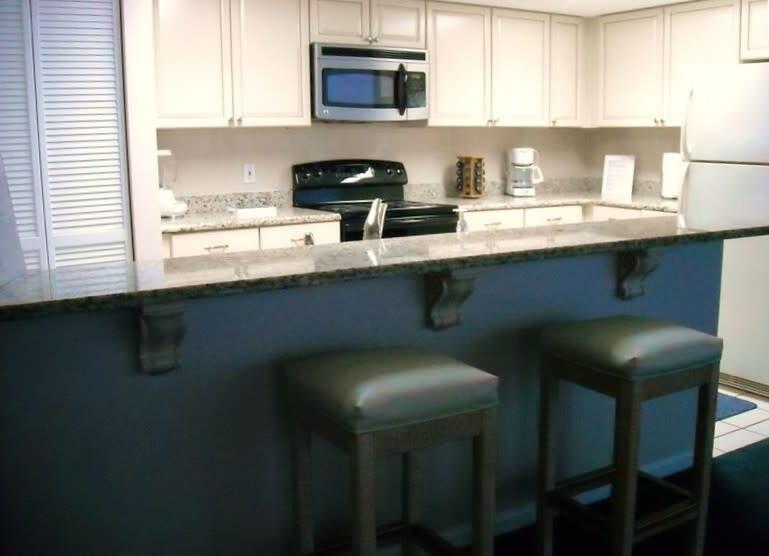 There is a well stocked kitchen with plenty of cupboard space, a spice rack, large pantry and granite counters. The Master bedroom suite features a King bed, full bath, separate dressing area, walk-in closet and a private dining table and chairs where you might have a quiet cup of coffee, privately read your newspaper, use your computer with our wireless internet connection or spread out a jigsaw puzzle or board game. The second bedroom has two new comfortable queen beds and a large walk in closet next to a large full bath. The spacious living room has a queen sleeper sofa and new large flat screen TV. 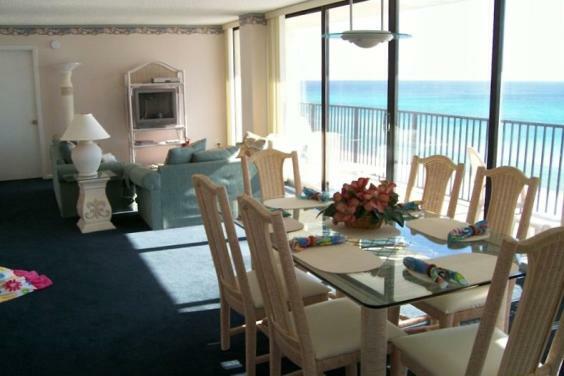 The dining area has an extra large dining table that seats six very comfortably. There is also a snack bar with stools. 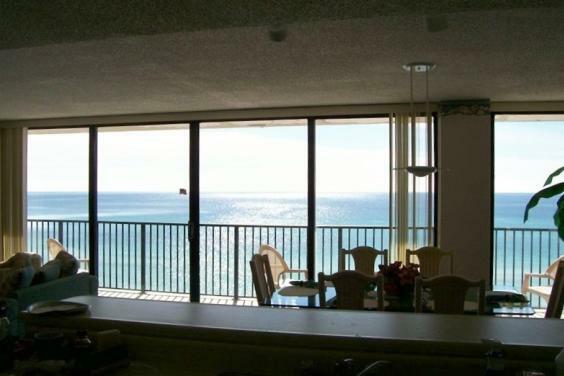 The panoramic views from this sixth floor unit are amazing. You can watch the children play in the sand, often see the dolphin swim by, the pelicans fishing or the sandpipers splash in the surf. 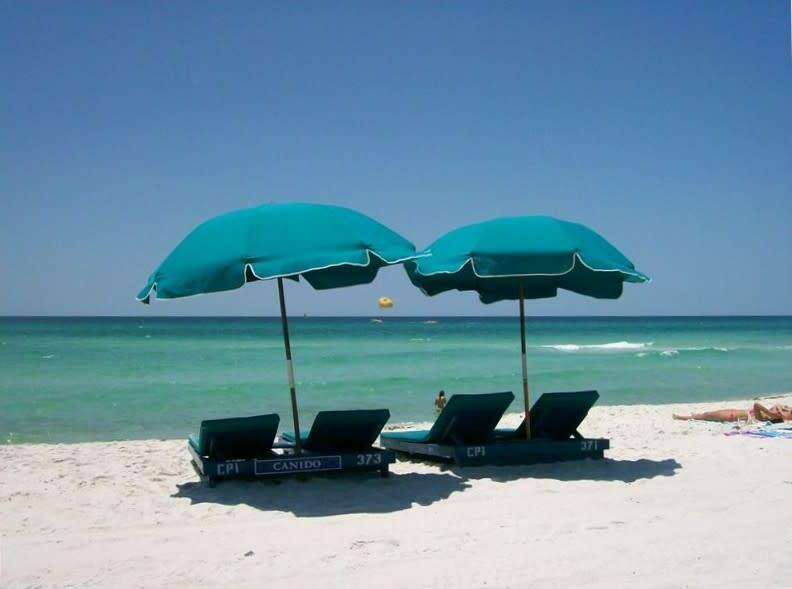 We are quickly and easily located at Hwy 79 and Front Beach Rd. 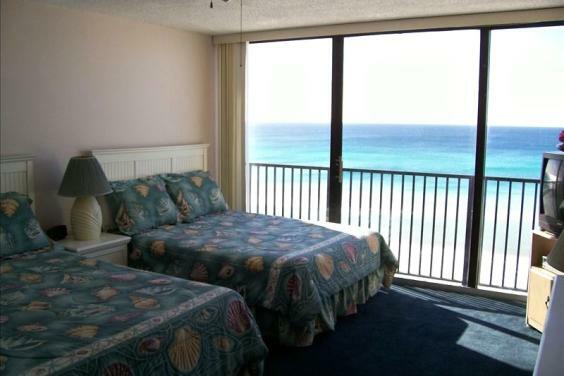 We are near the new Pier Park restaurant and shopping complex and the Panama City Beach Welcome Center, close to all of Panama City Beach's exciting attractions: Shipwreck Island, Ripley's Museum, the Gran Maze, the Miracle Strip Amusement park and Fun-land arcade, Gulf World Marine Park, the new Sports Complex and Aquatic Center at Frank Brown Park, Zooworld and the Sea Breeze Winery. We are only a short drive to Greyhound racing at Ebro or the site of the new International Airport. 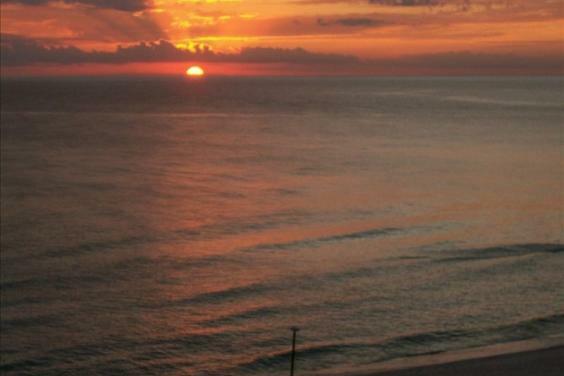 We are within 15 minutes of the Christian International ministries and 30 minutes of Seaside and the beaches of So. 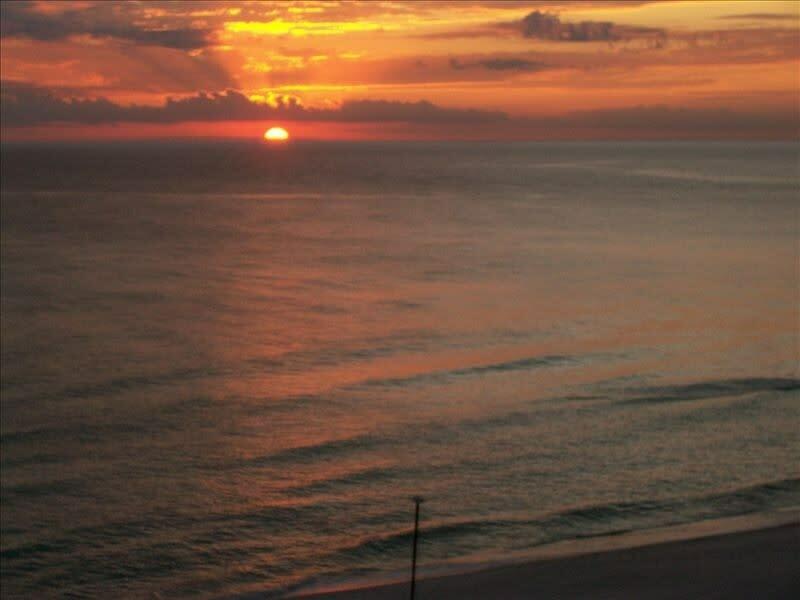 Walton and Scenic Hwy 30-A as well as the Sandestin SILVER SANDS outlet stores. 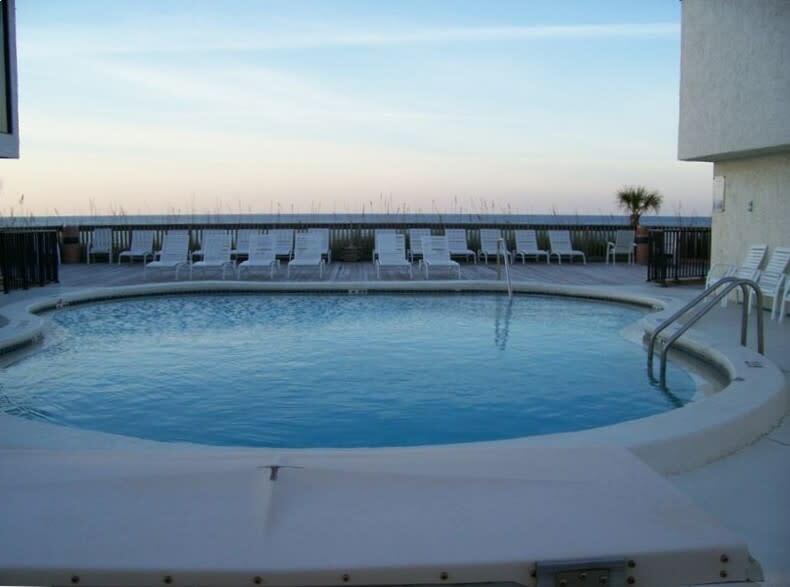 We are close to upscale and casual dining as well as within walking distance to a grocery store, post office, shops, diner, library and the Panama City Pier. We have created a comprehensive informative Restaurant dining guide and coupons and guide to many, many of these local attractions and activities which is in the unit for your convenience. 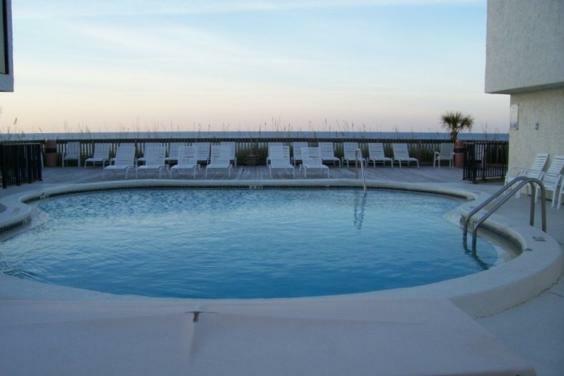 The beautiful pool area and the beach are never crowded as Seachase has only sixty-four units yet commands over 600 feet of sugar beaches! Come and make fun memories that will last a lifetime. 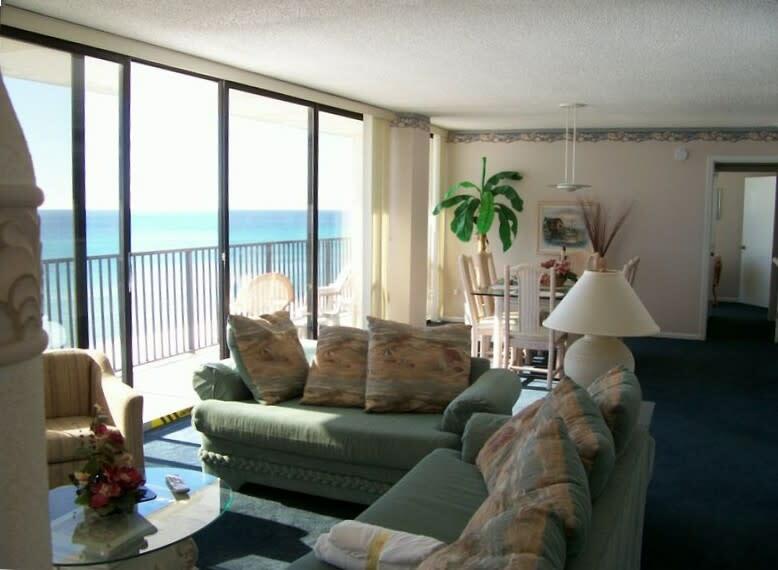 We know that you and your family will enjoy our Condo and this lovely area of the Gulf Coast.